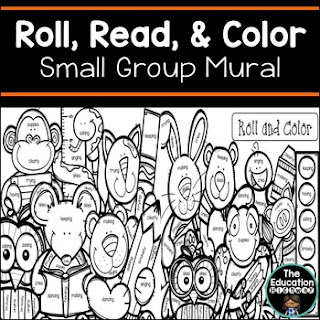 Roll and Color two page mural for third and fourth graders. Set of two word dice cubes, and word cards. Hope this product brings a smile to your day! Copyright (c) 2016 The Education Highway. All rights reserved by author. Permission for single classroom use only.